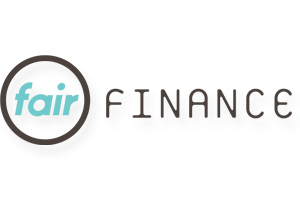 Fair Business Loans’ vision is to revolutionise business lending in the UK to ensure everyone has a chance. The application will only take 10 minutes and you will normally receive approval and funds within one week. We believe in Fair Finance for UK small businesses. What has been the most inspiring client you have worked with? There are so many to choose from... but it would have to be Marie. She moved to the UK from the Democratic Republic of Congo fleeing violent conflict there. She started here with nothing and worked hard as a carer in hospitals for ten years before setting up her own domiciliary care business. We were really pleased to support her with the funding she needed for new equipment for her care team. What’s the strangest/most interesting funding request you’ve ever had? We have funded all types of cases, from a dance studio run by a woman with an OBE to a consumer drinks businesses set up by a man who was previously bankrupt, from digital businesses to physical corner shops, from walking tour businesses in Scotland to pubs in Wales to stone masons in Northern Ireland. The thing we love most about working with small businesses is that each funding request is unique!